An evening celebrating Suffolk’s rich, musical history from the 18th Century through to the 20th with works by Gibbs, Handel and Britten. This candlelight concert features Eboracum Baroque and the Tower Chamber Choir in the beautiful surroundings of St Mary Le Tower Church, Ipswich. 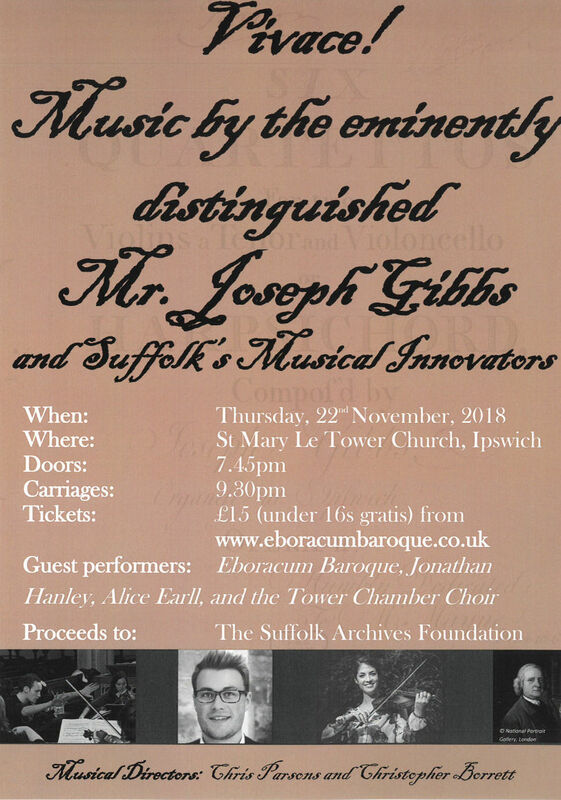 Please join The Suffolk Archives Foundation for an evening honouring the 18th Century Baroque composer and Suffolk music celebrity Joseph Gibbs. Celebrating the release of their new CD, compositions by Gibbs will be performed by Eboracum Baroque featuring Violinist, Alice Earll. Additionally, learn more about Gibbs the composer and enjoy a performance of Benjamin Britten’s Hymn to St Cecilia by the Tower Chamber Choir. There will also be songs and arias performed by the tenor, Jonathan Hanley including works by Handel and Suffolk folk songs. The concert also falls on St Cecilia’s day, the patron saint of music. This exciting fundraising event is in support of The Hold. 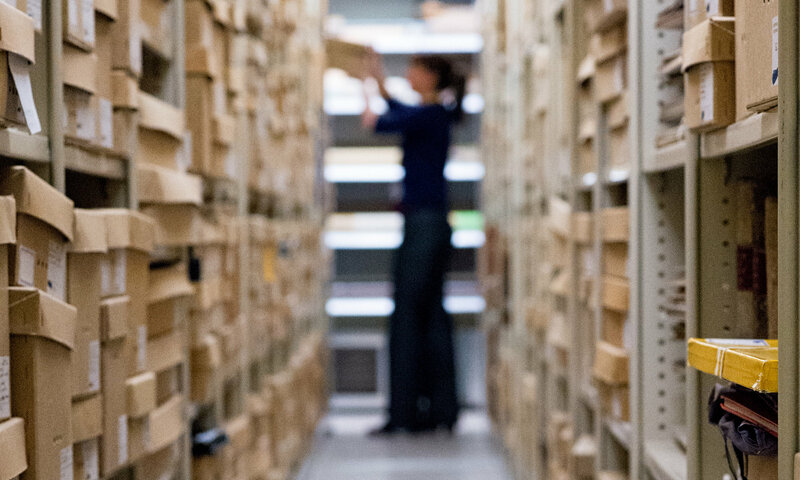 Located within Ipswich’s unique and regenerating Waterfront, The Hold will house the bulk of Suffolk’s nationally and internationally significant archives. It will be the engine for a transformed, audience-focused service reaching out to diverse communities in Ipswich, the county and the nation, through its activity and digital programmes, engaging people in new and exciting ways. Next PostNext Thanks to our supporters who attended ‘Suffolk’s Musical Innovators’!